Our doors are wide open to people from all backgrounds who wish to join us on our faith journey, as we follow Jesus Christ. Week by week for over 268 years, people from all walks of life have gathered in our building, in joyful celebration of the love of God: Father, Son and Holy Spirit. 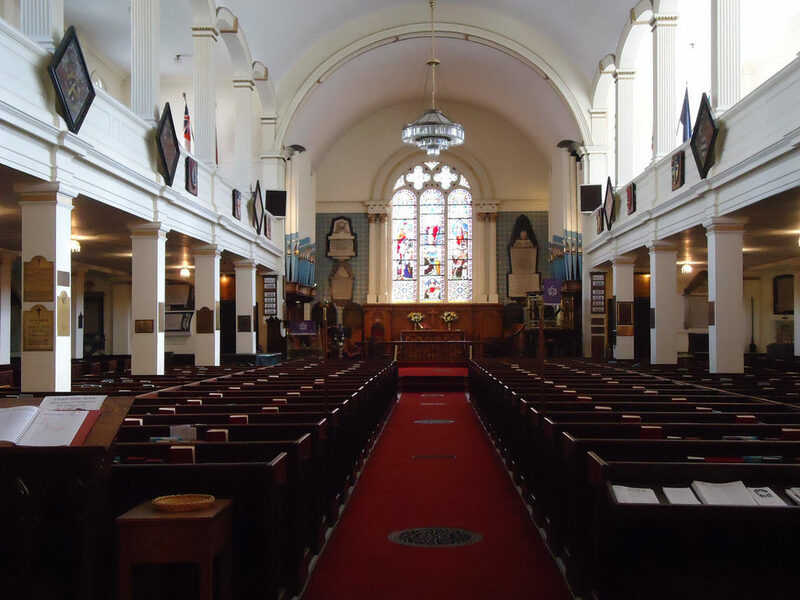 St. Paul’s is the old­est build­ing in Hal­i­fax and the old­est exist­ing Protes­tant place of wor­ship in Cana­da. Found­ed by procla­ma­tion of King George II in 1749, the build­ing was erect­ed in the sum­mer of 1750. On Sep­tem­ber 2, 1750 the Rev­erend William Tut­ty held the first ser­vice inside what was, accord­ing to Mr. Tut­ty, “not com­plete­ly fit­ted up”. The archi­tec­tur­al plans were based on St. Peter’s Church, Vere Street, Lon­don which was designed in 1722 by James Gibbs, a pupil of Sir Christo­pher Wren. The resem­blance between the two church­es is remark­able despite the addi­tion of St. Paul’s vestibule and steeple, 1812, the side wings, 1868, and the chan­cel, 1872. The tim­bers of St. Paul’s were cut in Saco, Maine and shipped to Hal­i­fax. Most of the mate­ri­als includ­ing the bricks to line the walls were made local­ly. Over two and a half cen­turies lat­er, the orig­i­nal wood­en struc­ture remains as sound as the day it was built. Charles Inglis, first over­seas Bish­op of the Church of Eng­land, arrived in 1787 mak­ing St. Paul’s his cathe­dral. 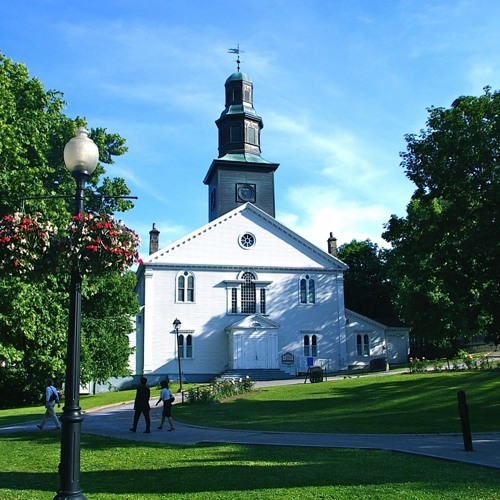 Until the con­struc­tion of a gar­ri­son chapel in 1844, St. Paul’s was also the first gar­ri­son church in Hal­i­fax. For more than 12,000 Sun­days wor­ship­pers have gath­ered here to cel­e­brate Christ’s death and res­ur­rec­tion, to read God’s word and to hear it preached from the pul­pit, to bring before Him the needs of the world and to offer Him hum­ble thanks for his good­ness. St. Paul’s Church is root­ed in the evan­gel­i­cal tra­di­tion and is a parish of the Dio­cese of NS & PEI (nspeidiocese.ca), and a mem­ber of the Angli­can Church of Cana­da (http://www.anglicancommunion.org/).